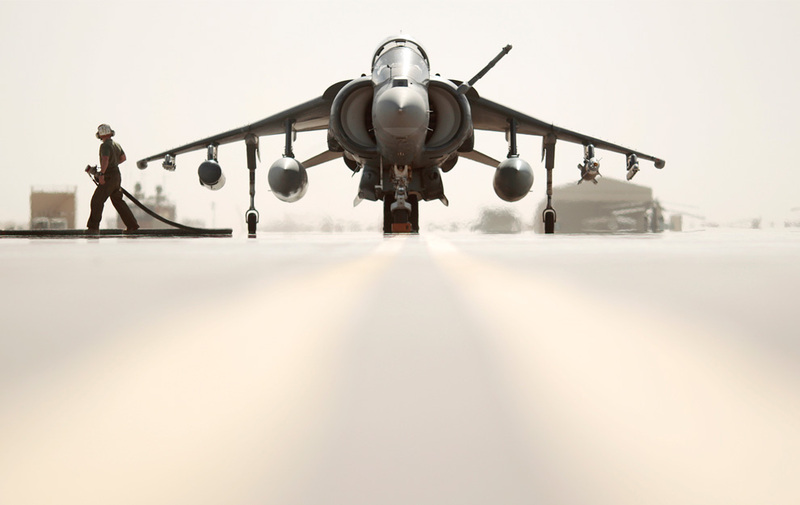 A ground crew member removes a fuel hose from a U.S. Marine Harrier jet from Marine Attack Squadron 231 during operations in Kandahar April 4, 2010. Happy Mother’s Day to all! Deborah Mullen offers her own greetings. – Robert Gates publicly address the threat of asymmetric naval warfare with Iran: “Iran is combining ballistic and cruise missiles, anti-ship missiles, mines, and swarming speedboats in order to challenge our naval power in that region” (via Robert Gates’ Facebook feed). – And speaking of Gates, Robert Farley addresses his “shot across the bow” to the Navy, and contemplates what ‘right-sizing’ it would look like. The British theory was that using someone the Germans strongly suspected was a double agent to tell the truth was preferable to using someone the Germans didn’t realize was a double agent to tell a lie. Or perhaps there wasn’t any theory at all. Perhaps the spy game has such an inherent opacity that it doesn’t really matter what you tell your enemy so long as your enemy is aware that you are trying to tell him something. – Vanity Fair posts a sizable excerpt from Christopher Hitchens’ forthcoming memoir, Hitch-22. Highlights include a spanking from Margaret Thatcher, Clive James’ metaphors (Arnold Schwarzenegger: “A brown condom full of walnuts”) and his trip to a brothel with Martin Amis as ‘research’ for the latter’s book (“I wearily started to count out the ever steepening fee, which was the only thing in the room that showed any sign of enlarging itself”). – John Robb nails the precarious state of the global economy – the day before the roller coaster ride on Thursday. The seer of our time? I analyze Russian ‘maskirovka‘ tactics in Operation Bagration. The British have some sort of election that may or may not affect the United States, which is a shame seeing what they were able to do as partners in the Falklands. I offer a mea culpa for my wildly off-the-mark Times Square bomber prediction, and lash out at Greece for being infantile little communists. America recoils in horror at the sight of a SWAT team’s raid on a man and his family for a misdemeanor charge of weed possession.